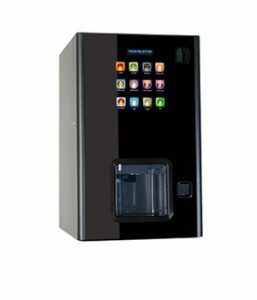 One of the most compact high quality table top vending machines in the market place. 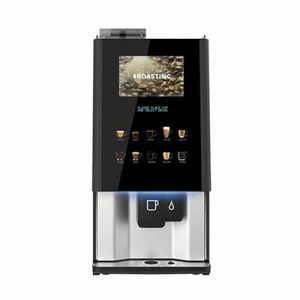 Finished in gloss ebony with touch sensitive selection menu, bean to cup option and built in cup drop unit, this machine will suit your location perfectly. 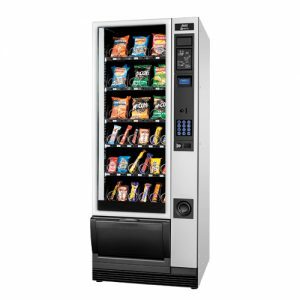 At just 480mm x 590mm it’s a machine suitable for almost any location. 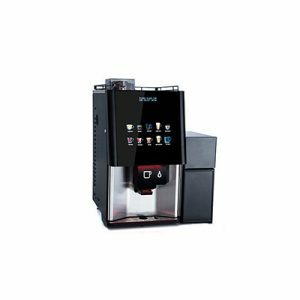 Either the option of just the tabletop unit itself or with the floor standing storage cabinet it could be a smart addition to your location. 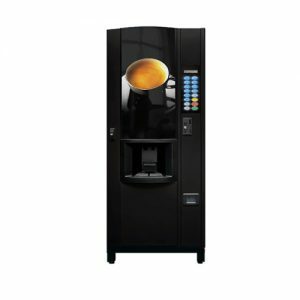 With the option of either bean to cup and freshbrew tea options along with instant coffee and hot chocolate alternatives. 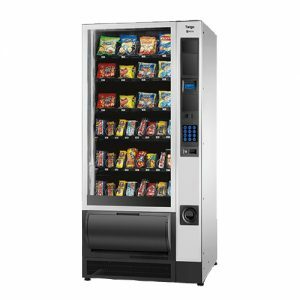 Intuitive design with the patented In-Touch selection process from the 12 LED backlit selection buttons. It couldn’t be simpler and it needn’t cost the earth either an A+ energy rating.